Custom built kitchen with pantry, stained solid maple wood. High quality plywood cabinets with solid wood dovetail drawers. Blum soft close undermount full extension slides, and soft closing doors on cabinets. Metal corner pullouts, built in garbage/recycling drawer and solid wood spice rack included. Features under cabinet lighting and crown molding to the ceiling. 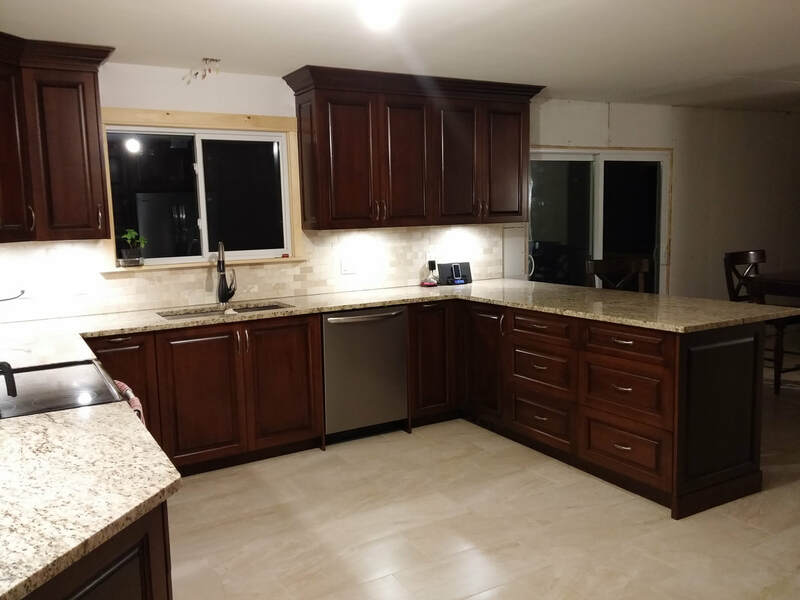 This custom designed kitchen was installed in Gatineau, near Ottawa.